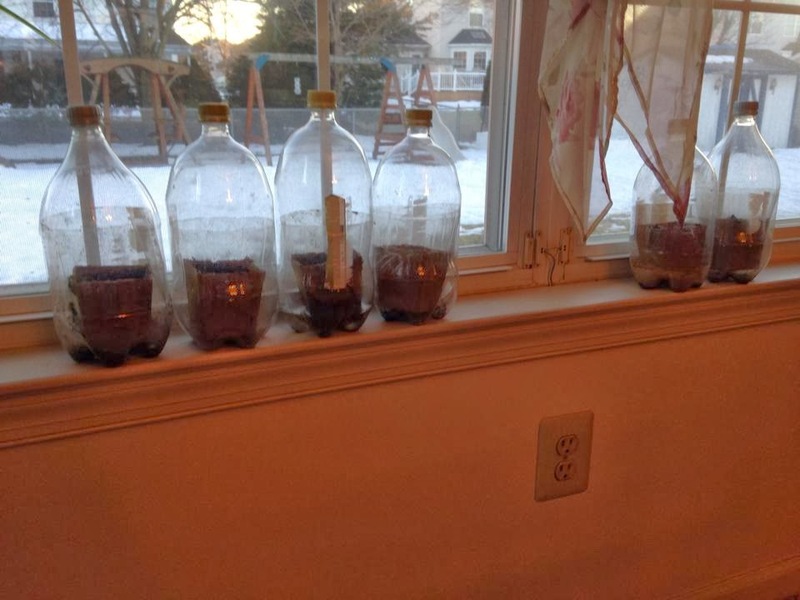 Yesterday I posted on our vegetable gardening Facebook page 6 broccoli plants that I had started from seed inside a two liter plastic bottle (show above). I received a number of emails, Facebook posts and so on as to how I did this. Therefore I wanted to share it in this blog post. It's pretty simple, and when done it creates a nice terrarium for starting your seeds and growing your plants. You need a few basic items to make this work. For starters, a plastic bottle. I use two liter bottles, but three liter bottles would be better. We just do not have many of them around here anymore. If you are not someone that drinks anything from two liter bottles, do what I did. Start visiting some of your neighbors recycle bins on recycle day (if you have that). It's a great resource for getting these bottles. Next you will need a pot to put your soil, seeds, plants etc. into. I like to use Cowpots, so that when it is time to move your plants to the outdoors, I just plant the entire pot. Some soil, and of course seeds. You are ready to begin. Start by cutting the bottle in half. You might have to puncture a hole in the bottle first to get it going. Once you do, cutting the bottle in half should be a breeze. Your bottle should look like the one pictured above. Mine has been used already so that is why you see some dirt in there. Fill your pot with your soil and seed, then place the pot inside the bottom half of your plastic bottle as shown above. Finally, take the top of the bottle and while slightly squeezing in the sides of the bottom of the bottle, place the top over the sides of the bottom as shown above. Notice the cap is on top of the bottle. You must leave this on otherwise all of the warm air in the bottle will escape. And there you have it! A nice little terrarium for your seeds made out of nothing more than a two liter plastic bottle. In this week's episode Mike talks with crockpot cooking expert Heidi Kennedy. Heidi will share her many recipes that can be used by cooking with a slow cooker. The best part, many of the ingredients from these recipes can be grown right at home in your own vegetable garden. As a busy mom she is always looking for new ways to save time and money. Crock-pot cooking fits the bill and lets Heidi prepare warm and satisfying meals without slaving over a hot stove. In her spare time Heidi enjoys cooking (of course), reading, learning new things everyday, shopping, saving money, gardening and spending quality time with her family, friends and pets. SPECIAL PAGE for Listeners of this Podcast! Hey everyone, we are the Crock-Pot Ladies, here to save the day with easy, fix it and forget it slow cooker recipes and inspiration. We are all busy moms with precious little time and rely heavily on our crock-pots to help us prepare yummy and healthy (and sometimes not so healthy) meals for our families and guests. Heidi Kennedy is a work at home mother of 5 children (ages 22, 16, 10 and 9 year old twins) and resides in Wyoming with her high-school sweetheart. As a busy mom she is always looking for new ways to save time and money. Crock-pot cooking fits the bill and lets Heidi prepare warm and satisfying meals without slaving over a hot stove. In her spare time Heidi enjoys cooking (of course), reading, learning new things everyday, shopping, saving money, gardening and spending quality time with her family, friends and pets. I love an arugula salad sprinkled with some walnut pieces and a raspberry vinaigrette dressing. The only thing that makes that salad any better is growing the arugula at home. 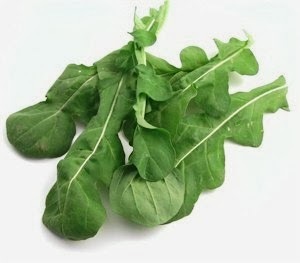 If you are not growing arugula, but like fresh leafy greens, what have you been waiting for? Arugula is super simple to grow, and one pack of arugula seeds will grow you a boatload of this peppery flavored leafy green vegetable. Arugula does grow best in cooler climates, so the best time to plant arugula in your area is when temps do not exceed 65 degrees for any lengthy period of time. As a side note, arugula grows great indoors in a pot on a window sill. Because arugula grows well indoors, you can start it early while the weather outside may be too cold or snowy and then transplant your arugula outdoors. Try not to sow your arugula seeds deeper than a quarter of an inch (six millimeters). Arugula seeds are fairly small and may not be able to generate enough energy to push through the topsoil if it is buried too deep. As soon as you can work your soil, and fear of frost has passed, you can transplant your arugula to its final growing spot. The soil’s pH level should be 6.0 to 7.0, and the area should receive no less than 4 hours of sunlight daily. Space out your arugula plants at least six inches (fifteen centimeters). You really do not need any more space than that. Your arugula will fill it in nicely. Another great selling point of growing arugula is the fact that it requires very little nutrients to grow. So simply give your arugula a watering with some manure or compost tea every couple of weeks or so. Your arugula will get everything it needs from the soil, given you have been maintaining your soil properly with good composting methods. If you want to know where arugula fits in with a crop rotation plan, I have read that arugula should avoid following plants of the cabbage family, although I have not verified that information with any other sources, so take it with a grain of salt. When your arugula leaves are two to three inches, they are ready to harvest. Simply snip off the arugula leaves and allow your plants to continue to grow. Arugula tastes best when consumed fresh within an hour of harvesting (that is my opinion, not a scientific fact). When it gets too hot, your arugula plants will bolt, producing flowers. At that point the arugula leaves will be too bitter to eat (again, my opinion), but I have read that arugula flowers are edible, although I have not tried arugula flowers myself. Some great arugula varieties to try are Astro, Rocket and Italian Wild. In this week's episode Mike talks with Gardening Jones, an avid vegetable gardener, gardening blogger and now garden system inventor. Gardening Jones, or GJ as Mike refers to her for short, will fill you in on the challenges she faces as a gardener in the zone 5/6 region, how she overcomes them, and which vegetable gives her the most fits. In this episode Mike and GJ will also discuss a brand new gardening system that she invented, how it works, the history behind it and how it can help anyone regardless of how much or how little space they may have. Gardening Jones is a self-proclaimed gardening addict sharing with those similarly afflicted on her blog. She has been seen on PBS, has a YouTube Channel where she shares even more info, and has been published in Horticulture magazine and is a regular contributor to their blog site as well as local publications. At the suggestion of our youngest daughter we started writing gardening information to help others learn to grow their own food. In the 4 years that passed, the blog has received a great deal of positive attention and we couldn’t be happier! Perhaps it really is serendipity, as in the meantime we have also unexpectedly found ourselves looking at manufacturing a garden system we designed in answer to the frustrations we have not only experienced ourselves, but have heard from so many other gardeners. Big pests and tiny pests, insufficient room and weather issues are what gardeners deal with to one extent or another. This system helps with pretty much all of that. I am sure eggplant has a lot of culinary uses, however, I only use eggplant in one recipe and that is eggplant parm. I know, I know, I should really expand my horizons, but when it comes to eggplant, for me and my family, eggplant parm is the way to go. What makes the eggplant parm even better is that I use eggplant grown right at home. There are a lot of eggplant variety choices to go with, but the ones that I like are of the black beauty variety. 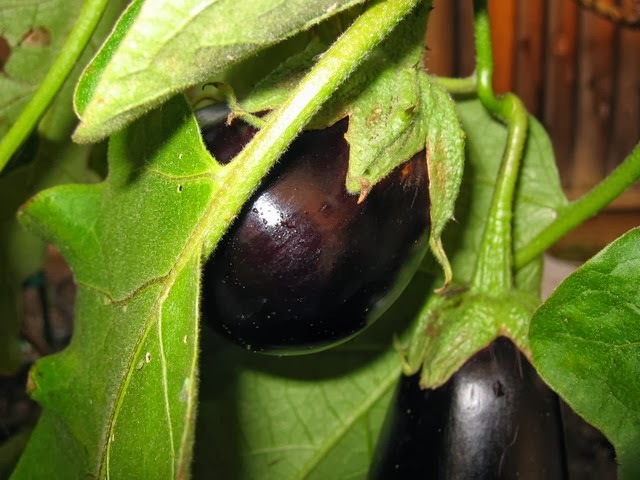 I have grown ichiban and Italian purple in the past, both eggplant varieties are prolific producers, grow great in many different climates, and are easy to maintain. I give you an idea of a few more eggplant varieties at the end of this article. When growing your eggplant from seed, give your eggplant a head start by planting your eggplant seeds indoors about 4 weeks prior to your last frost. Eggplant seeds are fairly small so try not to plant your eggplant seeds more than a quarter of an inch or six millimeters deep. Under optimal conditions, your eggplant seeds should germinate in as little as 7 days. Optimal, meaning a good quality potting soil, in a humidity dome, a cloche etc., where temps can get up to eighty-five degrees. Once you are ready to move your eggplant to the outdoors, make sure you choose a sunny location (full sun works best) where the soil has a pH level of 5.5 to 7.0 (acidic to neutral). Space out your eggplant eighteen inches (45 centimeters), although in a square foot garden you can get away with one eggplant per square. I personally think it will be a bit tight. But that’s me. Eggplant will do better with a moderate to heavy watering and a bi-weekly feeding of some type of fertilizer such as a manure tea. When rotating, eggplant will do well following beans or peas. In companion planting, eggplant fairs well with beans, peas, and peppers, but not so well with fennel. Eggplant seeds will germinate well for the better part of four years or more when stored properly in a cool, dry location. As a side note, with black beauty eggplant varieties, I like to use a garden stake to prop them up as the fruit on them is heavy and will make them tip over. Harvest your eggplant when they reach full maturity as described on your seed packet for the variety you have decided to plant. I like to use a pair of scissors and cut the eggplant where the stem meets the fruit and harvest when I know I am going to use my eggplant within 24 hours. Eggplant tastes better to me that way. Some other great varieties to grow include Diva, Kermit, Machiaw, Rosa Bianca and Little fingers.